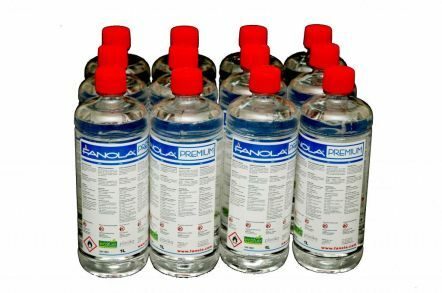 8 x 5L (40L) Premium Fanola® Bioethanol Fuel. Fanola® Bioethanol Fuel is a biologically clean, ecological fuel based on alcohol which has undergone double rectification process. Ethanol is of plant origin, obtained through fermentation of saccharine from seasonal produce. The burning process of Fanola® is described as “clean”, as the only by-products of the burning are: heat, CO2 and water vapour. 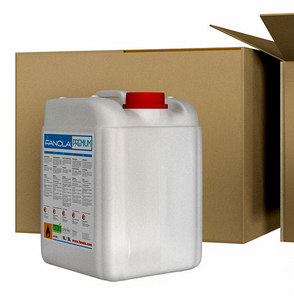 After the whole series of tests, Fanola® has been awarded the EcoFuel certificate proving the highest quality standards in terms of safety for humans and environment. That allowed the bio fireplaces to gain trust and popularity among clients. 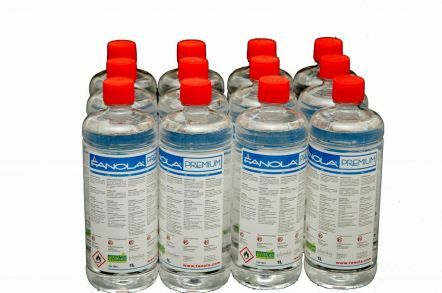 Bio-ethanol Fanola® being a non-consumption product has undergone the process of denaturation. The product must be used according to the specifications and instructions given on the label as well as the user’s manual. Denatured ethanol consists of organic substances, making a neutral impact on the environment.